We are definitely going through some challenging times as a nation and a global society. The divisiveness of the political landscape has not felt more significant in my lifetime. Pondering the issues before us can cause great conflict within our minds, bodies, and spirits. Tapping into our own intuition can create the serenity we long for as well as the solutions we seek. 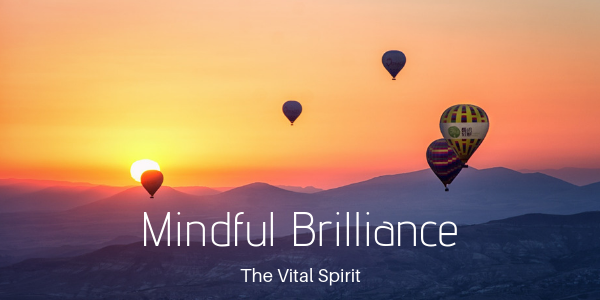 Spend time in mindful brilliance, get quiet, ask for guidance and understanding, and listen, feel or experience the conversation that unfolds. Our higher self (God, Spirit, Universe) has great wisdom for us to bring into the world. This brilliance is for us, individually, to understand, to act on, and to embody. This brilliance is how we can “think global, act local” when it might feel like we have no voice and little say in the grand, scary scheme of things. Listen within and find your truth and bring it into the light. Don’t allow the darkness and fear to leave you feeling helpless or defeated. We are all brilliant. We create peace from within, not from trying to control the outside. Be brilliant and shine!